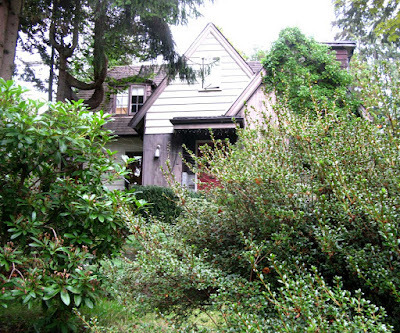 Located on the southeast corner of Wallace and West 39th, this house came to my attention in the fall of 2010 when it was for sale. 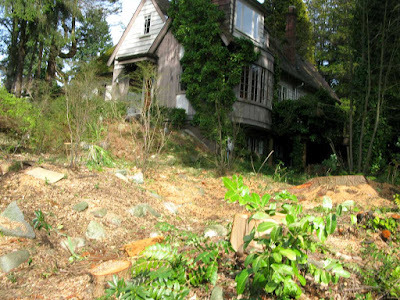 Already back then, it appeared somewhat derelict with the rampant foliage, and it may have been rented out. In 2012, it came to my attention again, being for sale. Some trees and bushes had been cut down on the south border. The add-on to the south with its large windows was unusual. At one time, this home and landscape was much loved. 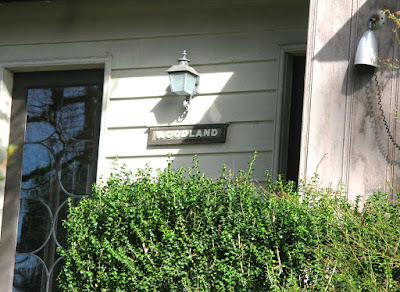 It was called "Woodland." 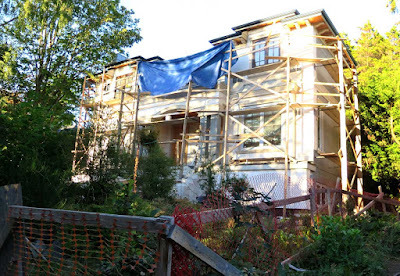 In August 2014, it was sold yet again. This new owner demolished it, and a new house is now under construction. 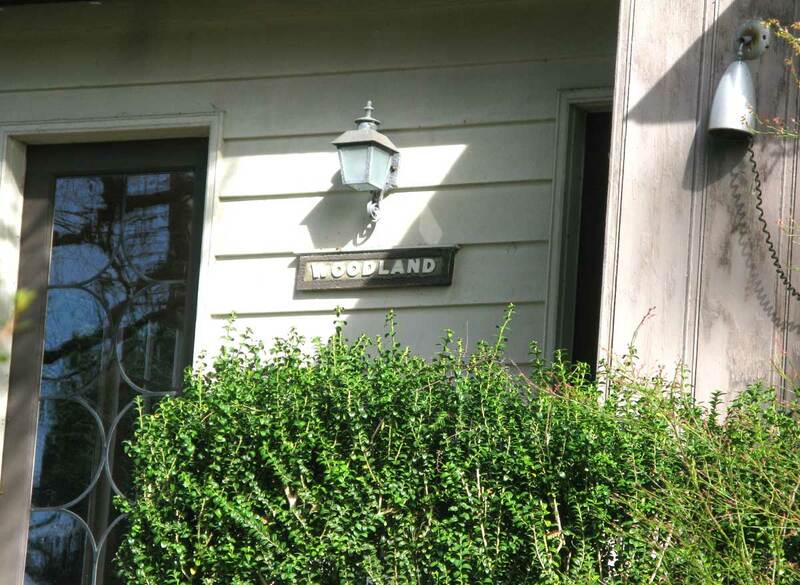 Fortunately, some of the "woodland" was retained. 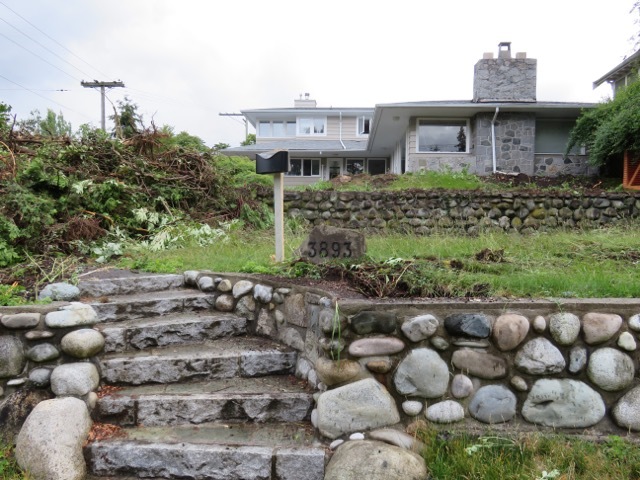 Across the street, at 3893 West 39th, this house built in 1947 with its elaborate stone terraces, has disappeared. The garden was impressive, but by the time that this photo (thanks to Caroline Adderson of Vancouver Vanishes) was taken, the garden was already destroyed.